Thank you for checking out my website. My name is Rich Carlson -- adventure travel addict and your canyoneering, rescue, rigging and rappelling instructor. Since 1990 I have trained thousands of canyoneers, climbers, adventurers, professional guides and rescue teams all across the Americas and around the world. My passion is teaching. Now I am making it possible for many more people to benefit from my training, gear reviews, and more via free online videos. I turned 60 in February 2017 and am at a point in my life where I receive the greatest satisfaction from serving others. Drawing inspiration from the book "Sacred Economics" by Charles Eisenstein, I do my best to work and live within a "gift economy" and my life has been blessed in many ways as a result. Unfortunately, there is a more dominant economic system that I cannot escape that requires me to obtain and use little green pieces of paper. So here I am asking for your support in the form of dollars. Create and publish quality online training videos. Free myself financially so I can continue to serve others. My primary mission is to assist with economic development and enhance quality of life for individuals and communities around the world through the provision of training for adventurers, guides, rescue teams and others who will use their acquired skills to serve. I am especially interested in helping underprivileged youth and unemployed adults in Native American communities and in developing countries. 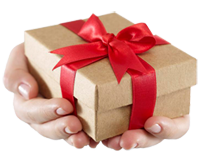 I love the idea of giving freely without requiring or expecting anything in return. Relying instead on those who feel they receive value and choose to show their appreciation with a gift - or to just count on karma to bring blessings into my life in other forms. Supporting me here isn't required - I will continue doing what I do no matter what because I love doing it - but I will be extremely honored and grateful if you choose to become a Patron. The cost of producing the instructional videos is not astronomically high, but it does require an investment of my time and some money out of my pocket. With support I will strive to commit much more of my time to producing regular videos. Previously, some very generous people donated more than $8,000 through a GoFundMe campaign to support me in training nearly 100 canyoneering guides in Nepal. With the support of gear companies - BlueWater Ropes, Petzl and Rock Exotica - I was able to leverage the funds even more when acquiring ropes, harnesses, helmets and other gear for the Nepali guides. Following the earthquakes in 2015 I returned with a group of volunteers to provide assistance to some of the people who were devastated by the disaster. 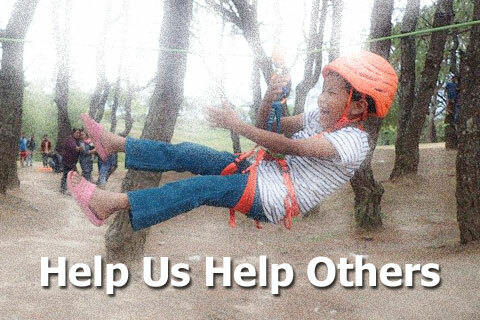 We have also provided adventure programs at parts for Nepali children living in foster care. I can't predict everywhere I will go next or what I will be doing. There is always someone in need somewhere. Current projects include training Apache guides in Arizona and there will be more return trips to Nepal.